Some people may think why bother? They can lump it or like it! Wrong!!! Preparing your home is as important as preparing all the marketing your estate agent will carry out in relation to the sale. You want to achieve the best price, you’ve chosen the estate agent, they’ve told you how they intend to market your property on all the major websites, the newspaper advertising, now they just need you to prepare your home so everyone can see what a beautiful place this could be to live. Preparing your home also leads to eye-catching photos, which are especially valuable given that most homebuyers begin their search by scrolling through listings online. Take time to clean and declutter your home put some extra time into the kitchen and bathrooms – deep clean all those appliances, don’t let the buyer think the first thing they need to do is replace. Bathrooms need to sparkle and smell fresh. Organize everyday household items into storage boxes and keep them out of sight. Consider getting in the professionals to do a deep clean on your floors to bring back the shine on tired tiles or shampoo carpets. Make those minor repairs that you keep meaning to get around to. Wardrobes and closet spaces – buyers do look in!! So, remember to de-clutter and store away what you don’t need on a daily basis. Stow away seasonal decorations (that means no Christmas decorations lying around in July). 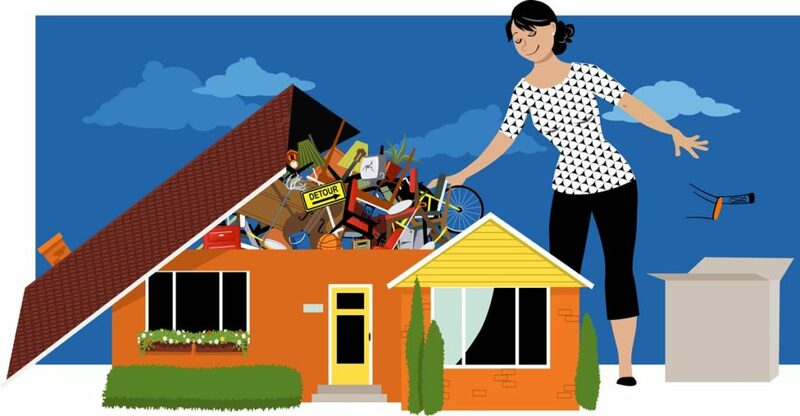 Not enough space to store your clutter consider renting short term storage space. Making sure your home looks it’s best on the inside is important but also need to remember you need kerb appeal. Maintain gardens and patios, weed and power wash tired paving slabs, etc. Light up your home inside and out and create a warm welcoming environment. Bernadette would be delighted to advise you on the best tips to prepare your home so why not contact now?